TOGA Group’s $160-million One Twenty Macquarie development is on track to be Macquarie Park’s tallest tower housing 192-apartments within 23-storeys. 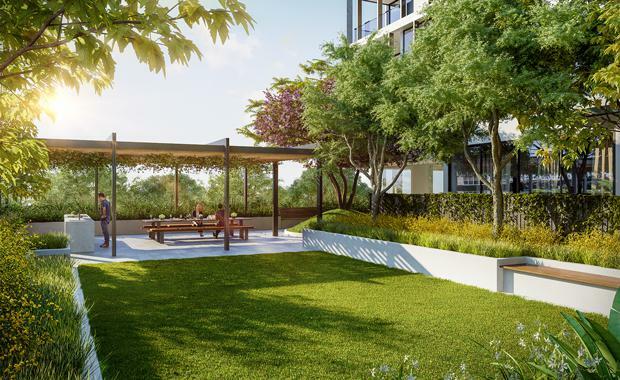 The group has released images ahead of this week's sales launch which detail One Twenty Macquarie’s design and premium facilities including a gymnasium, a theatrette, landscaped gardens, parking and a stylish retail café at ground level. Climbing 75 metres, the tower will be an architectural centrepiece within the NSW Government’s Herring Road Priority Growth Precinct; destined to be a thriving boulevard with a village atmosphere. TOGA has already collected hundreds of expressions of interest for the Turner-designed development. TOGA Chief Executive of Development and Construction Fabrizio Perilli said One Twenty Macquarie would capture the exciting potential of Macquarie Park. One Twenty Macquarie is located 16 kilometres from Sydney CBD and 450 metres from Macquarie University, Macquarie Shopping Centre and Macquarie University railway station.